Q: Why does my dog always destroys things and house soil when I am not home? 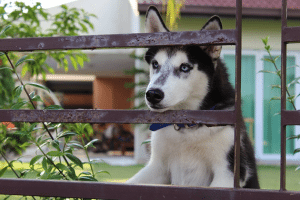 If your dog seems to worry when you’re heading out, or destroys things when you leave the house, you should be aware that your dog may suffer from separation anxiety. They follow you from room to room when you’re home, go berserk when you come back and seem to eye you suspiciously even before you leave—you may be dealing with a case of separation anxiety. Q: What are the common signs of separation anxiety? Q: What causes separation anxiety? 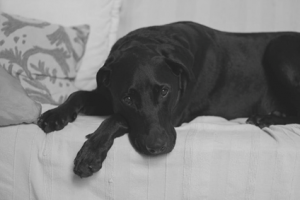 It’s not fully understood why some dogs suffer from separation anxiety and others don’t. But remember, your dog’s behaviours are part of a panic response. 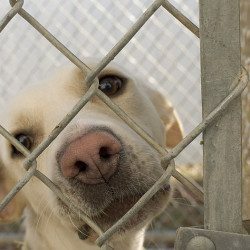 Your dog isn’t trying to punish you! They just want you to come home! Q: How to treat minor separation anxiety? 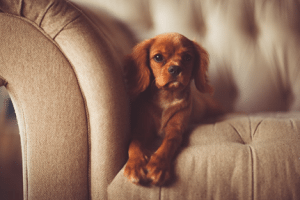 After you bring your dog or puppy home for the first time, acclimate them to periods of time away from you by practicing departures and brief absences. If you get in the habit of providing your dog with a loaded Kong, your dog may even look forward to you leaving! Only give treats as you leave, however, not upon your arrival home. Make sure your dog gets plenty of exercise. To help them learn to relax after playing, give them gentle massages. You should also challenge your dog mentally by working on obedience training and problem solving (such as a game of hide-and-seek). All of these activities, both physical and mental, help to build the dog’s confidence and make them less anxious in general. Q: How to handle a more severe problem? Separation anxiety can be overcome. You can turn some dogs around fairly quickly, with others it takes time, patience, and consistency. Seek expert advice from a veterinarian or behaviourist sooner rather than later, to help your dog overcome this debilitating condition. Exercise, obedience training, and clear and consistent rules around behaviour are necessary for a balanced dog. Consistency from you and from every human in your household will be also crucial to build your dog’s confidence in you as his Pack Leader, and also in himself.